Previously, Germany attracted only scholar PhD students, especially those having interest in chemistry, automobile engineering and microbiology. The recent trend shows that this country has been attracting students pursuing graduate and undergraduate degree. Germany offers you an intense and all round curriculum in all degree programs such as graduate, under-graduate and PhD. Moreover, where other countries in the world offer education which is pricey and leave you dry after the degree program, most of the states in Germany offers you free or with nominal tuition education. The quality of education in Germany is excellent, its tie ups with industries and nexus with other country universities make its education system stand out in every sense. So let’s see what this country have to offer you. 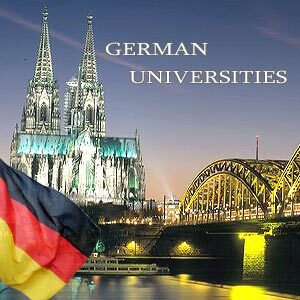 Here are some popular universities in Germany which are surely everyone’s dream to join. This university ranks among the best universities of Europe and has wide range that is 13 distinct degree programs to offer to huge number of more than 35000 students. The university is really popular amongst international students and compromises of nearly about more than 20% of its student population from outside Germany. This university holds merit of being called ‘University of Excellence’ in Europe. This was among the very first universities founded and referred as one of the oldest universities.. It was founded in 1868. Other interesting fact about this university is it has its off-shore campus in Singapore under the name TUM Asia. The university has nexus with more than 30 universities located in 17 other countries. Germany has much to offer you and next comes in the list, Heidelberg University. This university is called as the oldest one in Germany as it was established in 1386. The university has its expertise in the field of social sciences, law, natural sciences, and the life sciences, including medicine. It comprises of about 30000 students with well trained and organized 12 faculties. The ‘USP’ of this university is the wide range of books available in library and best of computing make this university rank both library and computing departments best in Europe. LMU Munich being established in 1472 holds the distinction of attracting intelligent and finest mind from the beginning of the institution in the form of students and teachers. The university has lot to offer you with range of faculties as wide as 18. This country attracts students from each corner of Germany as well as from more than 100 countries. The university also has a huge medical care center which accommodates 23,000 patients at a time. The university also called as KIT is originated when two university Forschungszentrum Karlsruhe GmbH and the Universität Karlsruhe were merged into one on the date 1st October 2009. The university is also being known to have nexus with other 140 research centers and has diverse courses in all fields to offer you. The university offers international students to get introduced to new horizon in their field and gives opportunity to grow as a researcher in their university. The university was established in the year 1948 and has alumina such as Max Plank and Albert Einstein. The university is situated in the good location of Berlin, this adds to its advantages. The university has many American and German politicians associated with it. This university now is currently offering 29000 students under various academic programs. This university also consists of one medical course to offer to students. The university is also popularly known as HU situated in Berlin. The university went to many hardships during World War 2. The university witnessed a rage in funding after the unification of Germany as one country. The university from that time is proving its excellence and striving ahead in giving education to more than 30,000 students under various degree programs. The university is been carrying out many research project under its university name. The university was founded in 1457. This university received a great acclaimed in the field of research and technology from its inception. The university is an education destination for students more than 100 countries accommodating 24000 students in it. The university consists of 11 faculties and more 5000 teacher and professor, each having expertise in their field, giving opportunity to students to grow. The university is known for as home to 20 research centers. These research centers facilitate students to have broader perspective toward research. The university being established in 1870 is known to be a research oriented institute. The university welcomes a number of student higher than most of the university that is 50000 under different courses and degree program. Along with this research centers, faculties and wide range of course offered ads to the university’s plus point. The university’s main motto is to offer students inspiration and guidance to become an entrepreneur and inculcate a business culture among students. This university is also known as research oriented university. The university researches mark on key area such agriculture, nanotechnology, artificial intelligence and computing. 13 faculties and wide range of courses in different field make this university to stand out in the country. Many prominent researches are being currently carried out in this university. The university was established in 1477 and has many courses to offer in the field such as medicine, natural sciences, theology, religion and the humanities. The university has 14 faculties and is popular for its unique method of learning. This new approach in learning provides student with innovative attitude and new ideas for research. Area of research compromises of life sciences, medicine and social sciences. To add to it many faculty members are holding the prestigious title of Nobel Prize for their work in the respective fields.